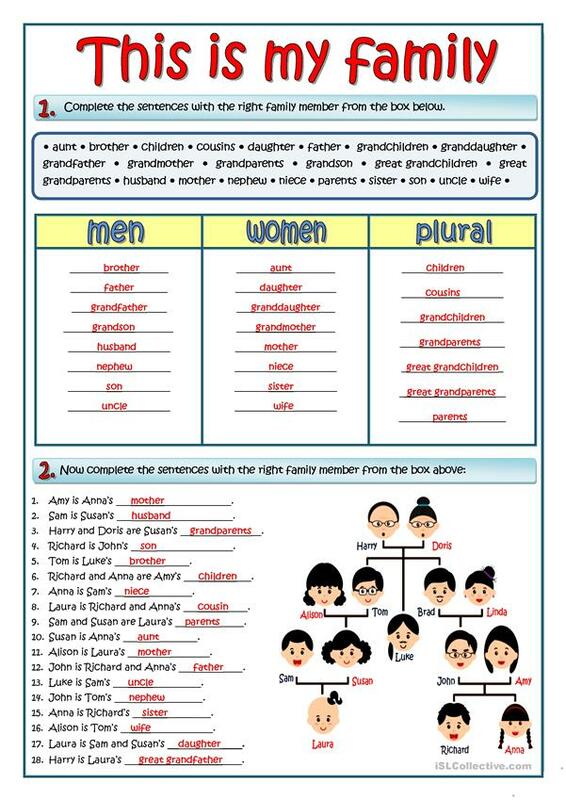 Practice about relatives. 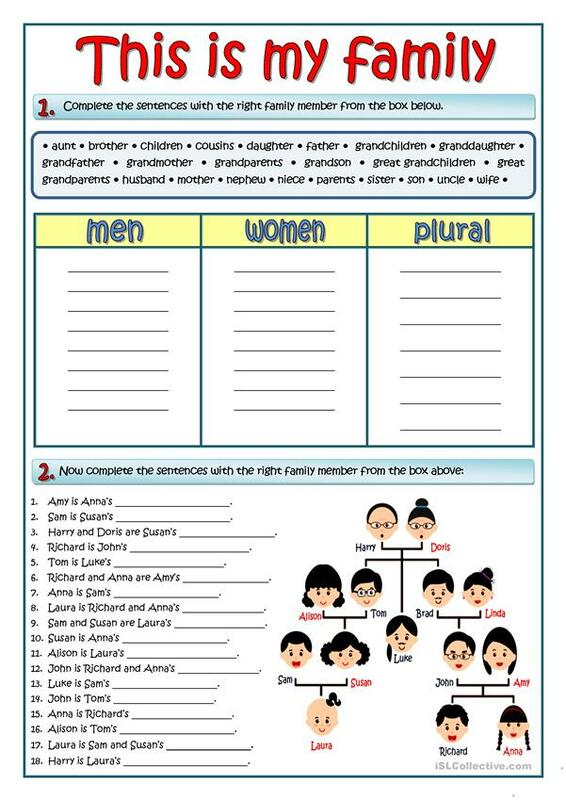 Two exercises: the first exercise is a chart to learn vocabulary related to the family members and the second one is a revision of the saxon genitive use. This downloadable handout is a great resource for high school students, elementary school students and adults at Elementary (A1) and Pre-intermediate (A2) level. It is great for teaching Genitive S vs OF (expressing possession) in English, and can be used for honing your learners' Speaking and Reading skills. It focuses on the topic and words of Family. The exercises come with the solutions.